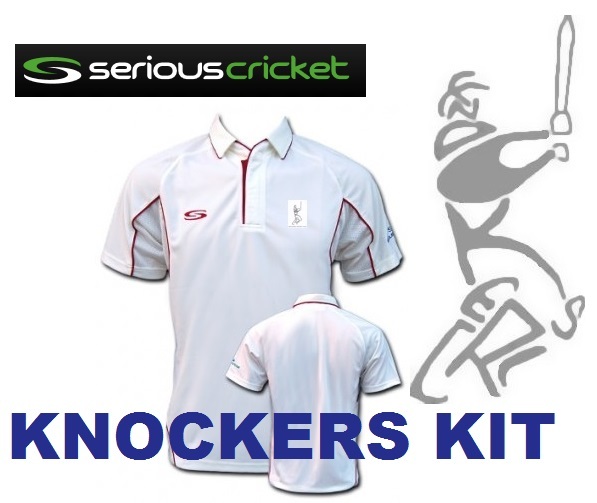 Knockers won an entertaining match at Chislehurst and West Kent in the early September sunshine. David Bowen had a day to remember with three wickets and an unbeaten maiden half-century, the latter seeing us through a very shaky response with the bat alongside another quality innings from Ed Springett who himself continues to race up the all-time Knockers run getters. Knockers won the toss on a fine afternoon and an Edinburgh dominated team set about restricting Chislehurst and West Kent to 143. Agnew and Anand opened the bowling and it was Anand who made the first breakthrough, bowling their opener with his first ball of the game. Agnew, who previously hadn’t played a Knockers game that wasn’t on tour, felt like he should keep up the tradition of only playing hungover. He bowled with a probing line just outside off, accompanied by the odd full toss that had captain Young, who was playing his 50th game for Knockers, ordering him to bowl to his field (eight on the off, one on the leg). Agnew’s seven overs were a delight to watch and he was followed by Kutner who bowled some express heat, alongside debutant Stevens who was harshly taken off to allow for Dave to come on and claim a wicket with his first ball, only for the batsman and umpire to remain unmoved. Two overs later he had his man though as Agnew hung onto a high chance at mid on. Young’s regular trick of cleaning up the tail proved unsuccessful this week, as Bowen was the star with the ball. Ziggy claimed three scalps in a dazzling spell of leg spin bowling, that, if you take out the wides, a certain Shane Warne would’ve been proud of. A run out off the last ball from Kutner ended the opposition’s innings, as Young nearly failed to take the bails off but succeeded on the second attempt. After a tea with added cakes courtesy of Freddie's mum, the Knockers innings got in off to a typically turbulent start. After ringer Smith and debutant Manger departed for ducks, we were 0-2. John Mitchell got the first runs and we were 4-2. Mitchell and Neil Dave came and went to leave us at 12-4. Young shaped up well in the face of a buoyant home side who sensed a chance to defend a low total. When he was bowled at 33-5 with 15 overs gone, Knockers needed some men with staying power. Bowen steered us to victory with a fine 63* sharing the glory with Springett. Ed's steadfast presence at the crease set the tone as the pair built slowly, briefly offering Chislehurst hope of the run-rate getting the better of us before accelerating to win with three overs to spare. The ball wasn't coming onto the bat too well so to post a record sixth wicket partnership deserves the plaudits it gets as the dynamic duo of Bowen and Springett saw us home in a professional style accumulating 112 runs together in the process.